Founded in the year 1887 by Torakusu Yamaha and was headquartered in Hamamatsu Shizuoka Japan. Read more about interesting Facts and Journey of Yamaha in India. Yamaha is not only famous for producing motorcycles for the world but is also known for making many different products under its name. It is a Japanese manufacturer of motorcycles, marine products such as boats and outboard motors, and other motorized products. Founded in the year 1887 by Torakusu Yamaha and was headquartered in Hamamatsu Shizuoka Japan. Yamaha Motor Company was established in 1955 upon separation from Yamaha Corporation (however Yamaha Corporation is still the largest shareholder with 12.21%, as of June 30, 2014), and is today headquartered in Iwata, Shizuoka, Japan. The company conducts development, production and marketing operations through 109 consolidated subsidiaries as of 2012. Today the company employs at least 20,000 people across the world. Yamaha has close to 15% of market share in the United States of America and in all 70% of the company revenue comes through motorcycles sales. The target market for this brand is mostly people in the age group of 25 to 35 years and is for the upper middle-class section. The company has one of the most excellent advertisements, branding, global distribution and promotion strategies that have enabled it to be present in all the countries in the world. Yamaha’s presence is well felt in the North American continent, Europe, and Asia especially Japan. Its presence in Africa is not as formidable but very considerable. Yamaha has been in the industry for many years and has always been innovative in its product line up. Yamaha Motor Company also imports and sells many other types of products as well. It also does tourist management business, leisure management, recreational and related services. Yamaha’s motorcycle sales are the second largest in the world, outboard motor and Yamaha is the world leader in water vehicle sales. Indian Yamaha Motor Private Limited is a fully owned subsidiary of Yamaha Motor Company. In India, it is headquarterd in Chennai. The company in India was launched as a joint venture with the Escorts Group in the years 1985. Later, it became a fully owned subsidiary of Yamaha Motor Company.In the year 2008, Mitsui & Co. got into an agreement with Yamaha Motor Company and became a joint investor in India. Today, they make famous scooters and motor bikes like Fazer, YZF, Saluto, FZ and SZ. Yamaha Motor Company has three manufacturing plants in India – Haryana, Faridabad and Surajpur in Uttar Pradesh. They also have their main plant in Chennai, Tamil Nadu. These three plants are main hubs used for manufacturing the motorcycles for domestic and overseas market. The first plant was started in Faridabad in the year 1965 which was followed by the plant in Surajpur in 1984 and the last one was in Chennai in the year 2014.The scooters manufactured by Yamaha in India are the Yamaha Ray and its upgrade, the Yamaha Ray Z, Alpha, Fascino. From the 1989 to 1997, Yamaha Motor Company produced Formula One Engines. They initially made engines for Team Zakspeed and then in the year 1991 thy started to manufacture engines for Brabhan BT60Y. This was followed by making engines for Jordon 192 in the year 1992, for Tyrell from the year 1993 to 1996 and then for Arrows A18 in the year 1997. The engines made by them very powerful however never won a race, but drivers including Damon Hill, Ukyo Katayama, Mark Blundell and Mika Salo scored some acceptable results with them. 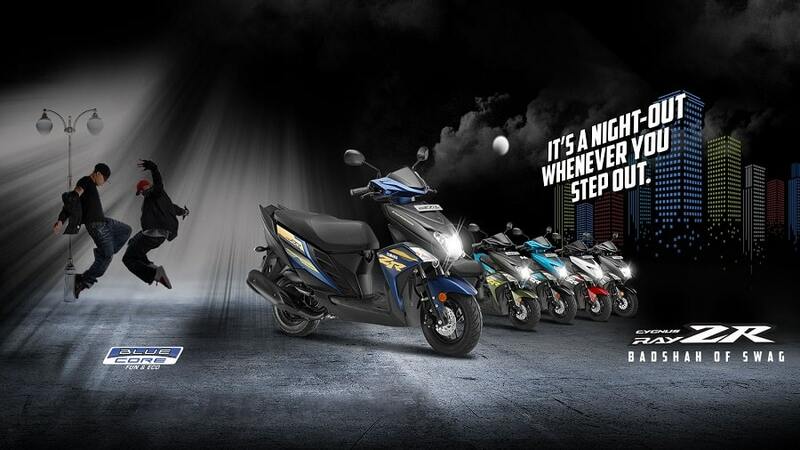 The tagline used by the brand is ‘Yes Yamaha – Touching your Heart’. The brand is known to promise the best for the people and its target with safety and best results driven from its products. They always want to have an emotional connect with its customers. The World Superbike and the MotoGP are some very popular brands within these sporting activities thus helping the company in their promotion mix. Yamaha is also very much involved in a lot of CSR activities around the globe and takes all their corporate responsibility very seriously. They also have a lot to do with Yamaha Music. They have been actively involved in promoting and educating music in Japan since the year 1966. In sports, Yamaha has been involved with Jubilo Iwata Football team and Yamaha Jubilo rugby team to advance its course. In India currently, John Abraham is the brand ambassador for the brand. Deepika Padukone had also been roped in for endorsing this brand in the past. Yamaha does some TV commercials but mostly relies upon print media – newspapers, billboards etc. They are heavily involved with advertising and promoting their motorbikes with showcasing the unique features and always brining in the emotional angle within their communication. Dhoni- As a Brand Ambassador. Read More! Brand Success Story of Vaseline the Wonder Jelly!